New ceramic findings point to a dietary revolution in the Bronze Age. Utensils and everyday items such as tools, weapons or jewellery were made out of bronze for the first time in human history from about 1800 BC - the invention of this alloy is what gave the era its name. 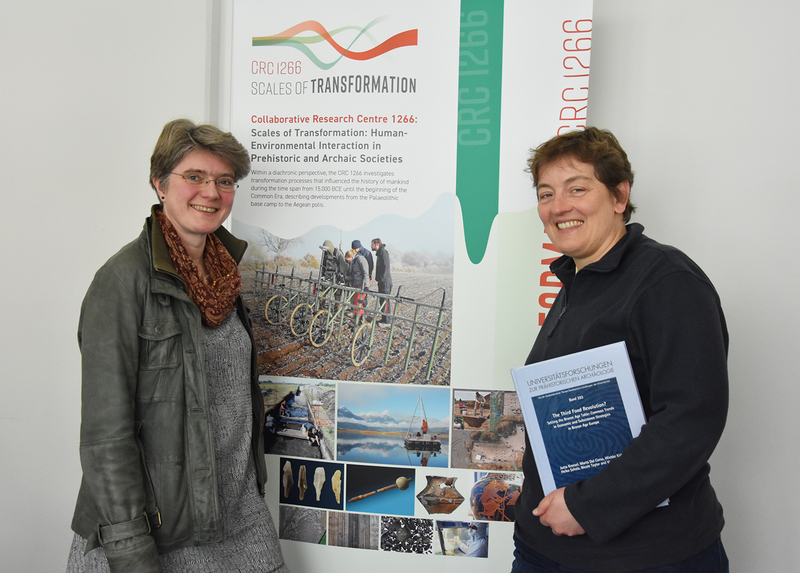 But scientists from the Collaborative Research Centre (CRC) 1266 “Scales of Transformation: Human-Environmental Interaction in Prehistoric and Archaic Societies” at Kiel University (CAU) are convinced that the changes during this period of approximately 600 years go much further. For the first time, in excavations of a settlement near the Polish village of Bruszczewo, an international team including the Kiel CRC 1266 identified residues of common or broomcorn millet (Panicum miliaceum) using chemical methods. They deduce changes in eating habits in the Late Bronze Age. The research team speaks of a dietary revolution, and published its findings in the journal Nature Scientific Reports. Millet appeared as part of the human foodstuff during the Bronze Age. This can be determined from the new findings at the German-Polish settlement excavation Bruszczewo, led by Kiel Professor Johannes Müller and Professor Janusz Czebreszuk from the partner University of Poznań. 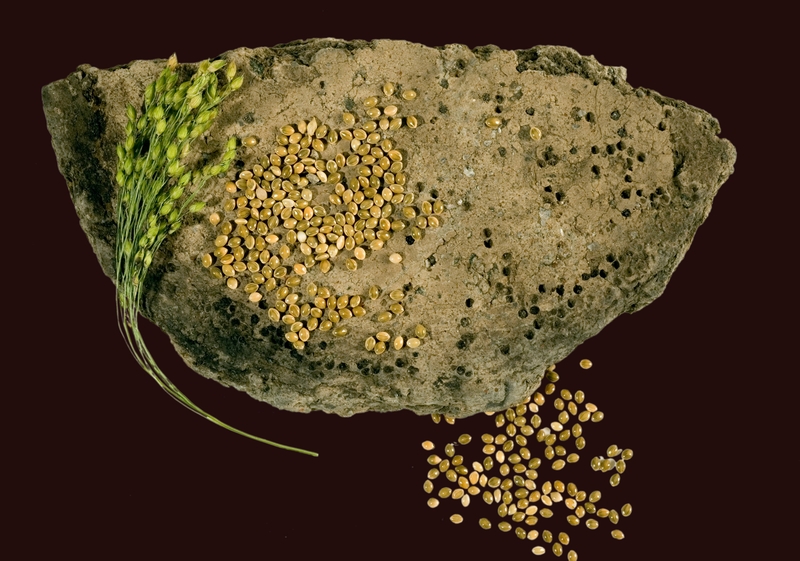 Millet can therefore serve as a time marker for the Late Bronze Age. The research team from the CRC 1266 under Professor Johannes Müller, Professor Wiebke Kirleis and Dr. Jutta Kneisel found vessels with residues of cooked food - charred deposits of millet gruel on pottery vessel surfaces - in the settlement, which existed from the Early to the Late Bronze Age. As such, they remain very well preserved, so that they can still be examined today. Together with the organic chemist and archaeologist Professor Carl Heron, who was a guest at the Johanna Mestorf Academy as a Humboldt Research Fellow, the food residues were investigated with modern chemical methods. “Heron analysed the organic residues, and thereby unlocked the ‘archive of foodcrusts’ for us on a molecular level,” said Kirleis, co-spokesperson of CRC 1266. Previously, analyses of food leftovers have mainly been used to identify animal products, but not from plants. It was therefore the first time that a cereal, millet, could be clearly dated as a human foodstuff to the Late Bronze Age on a molecular level, emphasised Kirleis. The researchers suspect that during this time, millet was brought to Central Europe from the Far East by travellers along the Silk Road. “Millet is an exciting and unique cereal. It grows extremely fast, and swells significantly during cooking. It could therefore have been particularly well-suited to a mobile lifestyle,” suspects the archaeobotanist. The millet finding allows to deduce a series of transformation processes during the transition to the Late Bronze Age. Kneisel and Kirleis speak of a third food revolution, which took place following the introduction of agriculture and livestock farming, and later the use of secondary animal products such as milk: in the Late Bronze Age, apparently a diversification in diet and agriculture took place. “Millet, as a small-seeded grass, joined the so far used wheat species and barley. Due to its short growing season, agriculture was better able to cope with crises, thereby ensuring basic supply for the population,” said archaeologist Kneisel. Finds of charred cereal remains were already known in the field of archaeology, but until now there have been no indications of preparation and consumption by humans. As the discoveries originate from charred food leftovers, it is now certain that millet was cooked and not merely used as animal fodder. The extended range of food allowed the formation of preferences in the late Bronze Age. People more frequently had the choice to select what they wanted to eat. At the same time, the range of ceramics produced became more diverse. Overall, the research team took this as evidence that the role of diet changed in the late Bronze Age, and also assumed a new social function. “It was not only metal-processing that played an important role, but also the culture of food. It was no longer just a means of survival, but also strengthened social cohesion," added Kneisel. How the transformation of agriculture and diet influences social change processes is a central topic of the Collaborative Research Centre 1266. Caption: Burned into ceramic vessels, the small-seeded grass millet from the Late Bronze Age can even be investigated today with chemical methods. 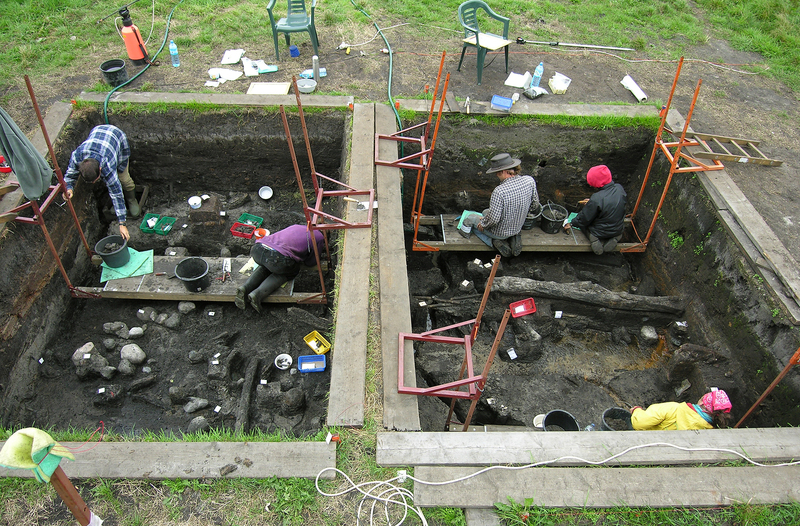 Caption: In the German-Polish settlement excavation at Bruszczewo, an international team found multiple vessels with food residues, indicating a dietary revolution during the Bronze Age: food now also took on a social function. Caption: The most soil and the protecting slope of the settlement provide ideal conditions so many of the found objects are in a good condition. Caption: The team led by archaeobotanist Professor Wiebke Kirleis (left) and archaeologist Dr. Jutta Kneisel of CRC 1266 investigates how the transformation of agriculture and food influences social change processes. In the German-Polish settlement excavation at Bruszczewo, an international team found multiple vessels with food residues, indicating a dietary revolution during the Bronze Age.